Whiteface Mountain can lay claim to having some great deals and great entertainment on a very regular basis throughout the winter season. Find a winter wonderland and some very special events at Santa's Workshop during December, while other events bring discounts and awesome live music to the Whiteface Mountain Ski Center. December's the most special time of year in Wilmington, and more specifically at Santa's Workshop, located on the side of Whiteface Mountain on the Memorial Highway. 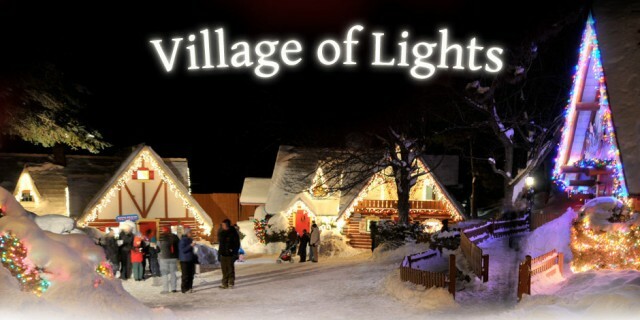 One of the most anticipated events at Santa's Workshop each year is the Village of Lights. During this rare opportunity to view the Workshop after dark, management throws open the doors for Village of Lights each December. The entire park is decorated and lit up for the holidays and the public is invited to come take a look and experience the magic of the season on these very special nights. The Rock the Face entertainment series on Saturday afternoons has expanded over the years and now runs from opening weekend through closing day at the mountain. Some of our best regional rock bands have graced the stage in The Cloudspin Lounge on those fun Saturdays in past years, and this year is no exception. Some of my personal favorites are booked for upcoming gigs, so don’t miss out on the fun and games! Beginning on December 3rd, Whiteface once again brings back its ever-popular Why Not Wednesday lift ticket promotion. Thanks to one of Whiteface’s major corporate sponsors, Coca Cola, the mountain offers discounted lift tickets of only $45. Simply present any Coca-Cola product at the ticket window to claim your discounted tickets and hit the mountain for a full day of skiing or riding! Super Sundays, a popular series of themed Sunday lift ticket specials, fun and games, and giveaways, will be back beginning on Sunday, December 7th. Appropriately, the very first Super Sunday celebrates the holidays with Ugly Sweater Sunday. Wear your ugliest holiday sweater and maybe you’ll go home with a prize! The Cloudspin Lounge offers drink discounts as well as sponsor give-aways and fun games. This once-a-month event is always popular, so get out there early for the best parking spot. Super Sunday lift tickets for 2013/14 season are $48 adult, $42 teens, $35 juniors. 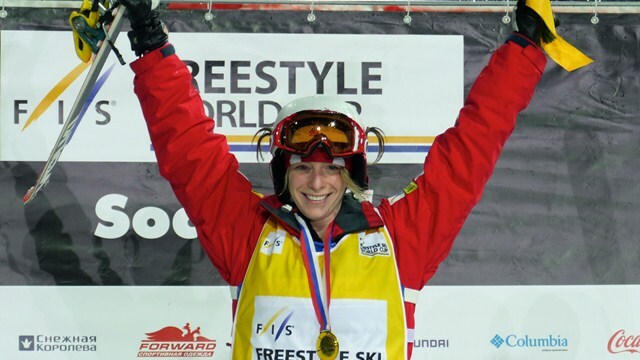 Looking ahead into January, you won’t want to miss FIS Freestyle World Cup. The circuit hits town on Thursday, January 29th for three days of intense competition, one day of which takes place at Whiteface Mountain. Moguls competition will take over the Wilderness trail on Thursday with men's and women’s competitions on the big bumps. Spectators are welcome on the sidelines, but a lift ticket is required to get to the upper mountain to access Wilderness or the trails around it. Surrounding trails: MacKenzie, Parkway, and Mountain Run, are all accessible from the Gondola or the Freeway, Little Whiteface or Mountain Run lifts, and you must be on skis to ride the lifts. This is a fun event to watch with the best freestyle skiers on the International circuit competing here each year. Don’t miss it! If all those deals and events don't warm your heart, how about an early season lodging deal? Make reservations at one of Wilmington’s great lodging options close to the mountain and remember to check the entire calendar for more fun things to take part in while you’re in the area.